Cape Town - Influential Stormers captain Duane Vermeulen will return to Cape Town for a further two-week rest period. The hard-working No 8 has been in outstanding form for the Stormers in 2015, but he will head home from Sydney on Sunday as part of the agreed SA Rugby rest period, which affects the top Springboks in this, a Rugby World Cup season. “It’s a big one for us... it was a big decision to make,” explained Stormers coach Allister Coetzee. “However, it is something we discussed and have been planning since the start of the season,” he added, “the intention was always for Duane to spend the first two weeks on tour and then to head home and be ready for the final part of our season. 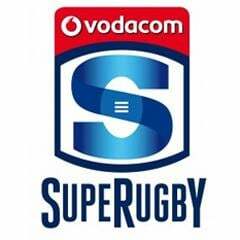 Squad vice-captain Juan de Jongh missed the Stormers’ heartbreaking 20-25 loss to the Hurricanes on Friday, whilst wing Kobus van Wyk limped off early in the second half with a tight hamstring, which is why utility back Pat Howard has been summoned to join up with the squad in Sydney. “Pat Howard will join us,” confirmed Coetzee, “ostensibly because of those two injury worries amongst our backs. “Juan went over his ankle at training last week and by Wednesday morning he wasn’t able to stand on his foot and he wasn’t able to complete Thursday’s captain’s run. “Huw Jones came in and deserves a lot of credit for his performance - he had a good game and showed that he’s a good prospect for the future. Star inside centre Damian de Allende took a bang to his knee on Friday (“there is nothing structurally wrong,” according to Coetzee) and flank Siya Kolisi took a knock to his head and was eventually withdrawn from the action in the second half. Said Coetzee: “Siya passed the pitch-side concussion test, but he wasn’t feeling 100% comfortable which is why we then took him off after he came back on. With Vermeulen set to return home De Jongh is the obvious man to take over the captaincy, but there is adequate back-up too in the shape of Schalk Burger – who has been in fine form on tour – and Mike Rhodes and Damian de Allende. The Stormers – who will take on the Waratahs in Sydney on Saturday, April 11 (kick-off 10:40 SA time) – will be based in Coogee until next week Sunday before they travel to Perth for their final tour match against the Western Force. 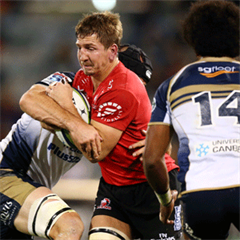 Looking ahead to their third tour match, against the defending champions, Coetzee told the www.iamastormer.com website: “We need to show the same intensity that we did in the second half against the Hurricanes. The ‘Tahs are similar to the New Zealand teams, in the way that they play, so we will have to prepare well. “It was a disappointing result (against the Hurricanes), the players were absolutely gutted. “We would’ve loved the (positive) result based on our second-half performance but, I guess, our first half cost us in the end. The second half was outstanding – we dominated the Hurricanes, but, unfortunately, it wasn’t enough for us to win the game.